Friday, April 6th is Fresh Tomato Day. 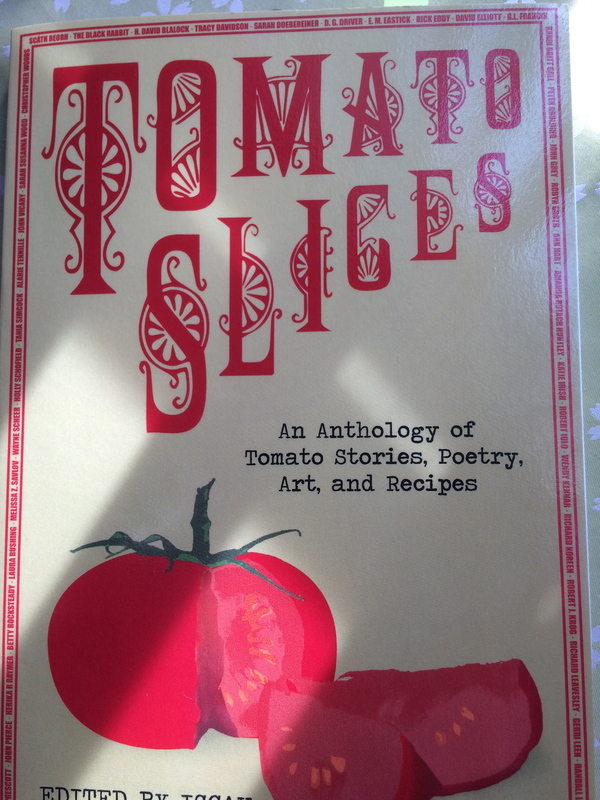 And I thought I’d use that unique holiday to spread the word about Tomato Slices — An Anthology of Tomato Stories, Poetry, Art, and Recipes. I don’t like tomatoes, have never liked tomatoes (even though I like ketchup and pasta sauce), so I originally didn’t think I’d have an essay to write about tomatoes. But, it turns out I did, and it is included in this anthology. Additionally, The Mighty recently published a personal essay of mine about what my life is like as an “undercover disabled woman.” Please, help me get the word out and help share it on social media. Hopefully after reading my essay, you’ll find yourself behaving a bit more patiently when waiting for someone who looks “fine” to slowly cross the street. Thank you, John! And yay for friends and all their support!